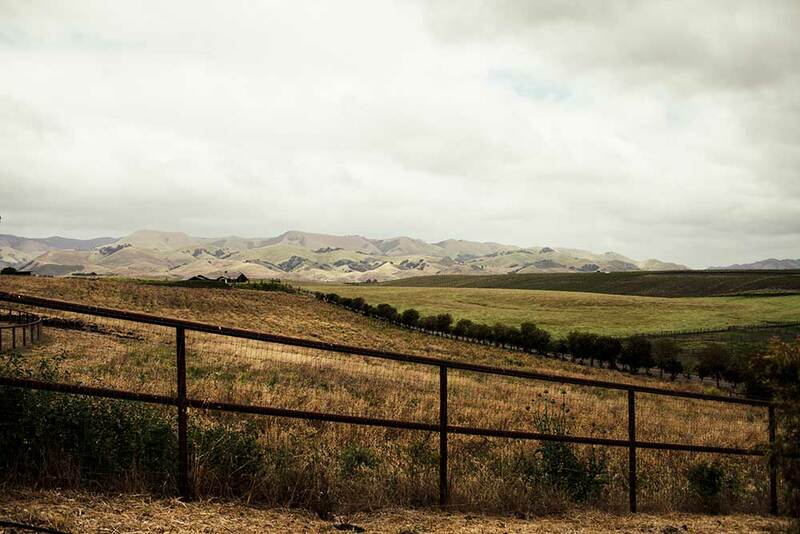 Pepper Tree Ranch is situated on 70 acres just south of San Luis Obispo. The working ranch portion of the property hosts goats and horses, as well as crops. In 2016, a portion of the ranch was turned into a vacation rental and venue for weddings and private events. All outdoor areas of Pepper Tree Ranch are handicap accessible, with the exception of the Tree House. We want to accommodate your guests with the utmost of convenience and comfort. Please don't hesitate to get in touch with questions about accessibility. 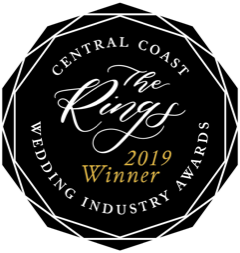 We were recently honored to be named the Best Wedding Venue of 2019 by the Central Coast Wedding Industry Awards. These newly-established awards are presented by an association of local professional organizations including Central Coast Wedding Professionals, Central Coast Bride, and SLO Wedding Planners. What made this award especially meaningful to us is that it was voted on by local wedding pros and vendors whom we respect and are honored to work alongside every weekend. To be recognized by our peers and colleagues as providing award-worthy service to our couples is the highest honor! The pepper trees that you see on our property are Schinus molle, native to the Peruvian Andes. Legend has it that the tree got its start in California when a wandering sea-captain repaid the hospitality of the Spanish missions with a gift of seeds. Prized by Spanish colonials for its strong wood used in saddle-making, its use as a shade-tree, and its beauty, Schinus molle quickly became naturalized to the California environment. 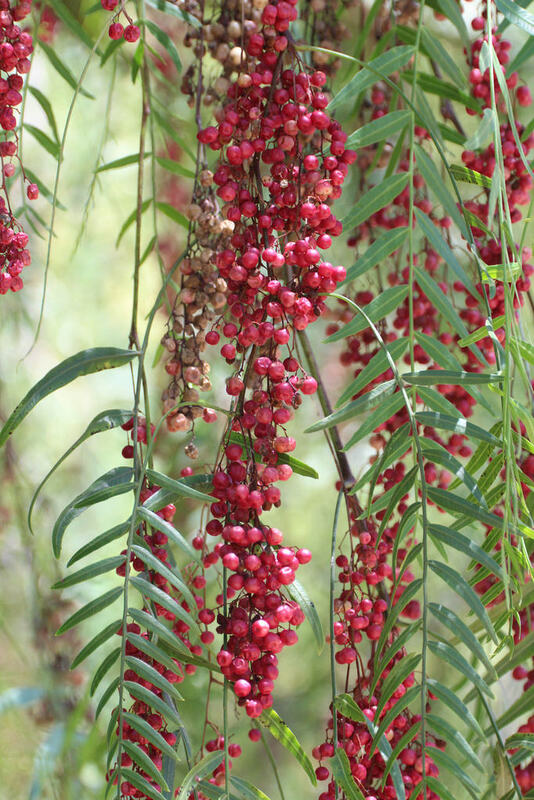 In addition, pepper tree is also cultivated as a spice tree (though not true pepper, its pink peppercorns are often added to other blends), has antiseptic and antibacterial properties, and is being researched for its anti-depressant properties. This symbol of health, happiness, and hospitality perfectly expresses our wishes for each and every guest who finds their way to Pepper Tree Ranch and the Edna Valley. This area of California was first settled by the Chumash people around 13,000 years ago. In 1772, Mission San Luis Obispo was the first Spanish Mission established in Chumash lands. After winning its independence from Spain in 1821, Mexico began the process of reclaiming land granted to the Missions in 1834. As part of the 30,000 acre Corral de Piedra land grant, the area now known as Pepper Tree Ranch was given to Jose Maria Villavicencio by Governor Juan B. Alvarado in 1841. This area of the Central Coast has been in constant agricultural production ever since, beginning with large cattle and dairy operations, and, more recently, extensive viticulture and wine operations. Known especially for its Chardonnay and Pinot Noir, Edna Valley became an official American Viticultural Area (AVA) in 1982. Darren is a true self-made local, he began grade school in Paso Robles and Graduated from Atascadero High School in 1980. He attended Cal Poly and earned bachelor’s degrees in Finance and Accounting, and completed his Master Degree in Business Administration in 1985. He has built hundreds of homes here on the Central Coast, completed numerous commercial projects, and has operated a cattle company for over 30 years. Darren purchased the property that is now Pepper Tree Ranch in 2003 when his two children were very young. Darren worked endlessly with the kids by his side to create the special place that Pepper Tree Ranch is today. Darren loves people and has an expectation that every guest of Pepper Tree Ranch will have a perfect experience while he shares the beauty that he has created. Hannah is the Sales & Marketing Director and Venue Manager of Pepper Tree Ranch. She works with creative, classic, and down-to-earth couples from all over California and beyond who want to create a wedding day that leaves beautiful memories that last for a lifetime. She knows that choosing the venue is often the first decision made in the wedding process (after the ring, of course!) and believes in guiding and educating couples about a choice that has so much impact on the feel & ambiance of the day. She has a background in catering management and wedding design & coordination, and understands the full process of planning the biggest day of your life. A native of the Central Coast, she attended Cal Poly & loves to share the beauty and character of her hometown with her clients.